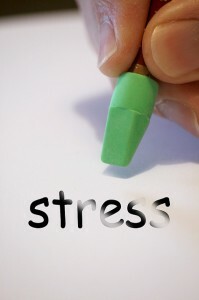 You can manage your stress! Life has its natural ups and downs, but when making a big change like quitting smoking, the downs can feel especially rough. Having a plan to deal with stress can really help, so let’s talk about some ways that you might do this. Take care of yourself, and clear your to do list. Getting plenty of sleep, drinking plenty of water, eating lots of fresh foods – and even making sure to get plenty of sunshine – will help you feel better as you get closer to your Quit Day. Try to take care of any small issues in your home that may stress you out too. This could be things like stocking up on groceries, doing laundry, cleaning your room or apartment, fixing plumbing or car issues, taking your pet to the vet and such. Basically, clear all of those nagging to-dos off your list. Once you know the things that really stress you out, think about things you can do to deal with your stress instead of reaching for a cigarette. Maybe it’s going for a walk, or avoiding particular people when you’re having a bad day – maybe even screaming into a paper bag! Whatever it is, have a plan that works for you. It might even be a good idea to test-drive some of your ideas before your quit day to see how well they work for you. Write out an escape plan in case of unexpected life drama. Life can throw you some unexpected curveballs. Sometimes things come out of nowhere: maybe you have to suddenly move; or you lose your job; or you break up with your partner. There are lots of things that could happen when you might not expect, and that can really spin you. When this happens, it might be especially hard to stick to your coping strategies. Even though it’s difficult to imagine yourself in these scenarios, it is better to mentally put yourself there now than to find yourself unprepared later. So, think about it now. What is your escape plan if something goes really wrong in your life when you’re trying to quit smoking? What are you going to do, who are you going to talk to, and where are you going to go so that you can stay smoke-free? Hold off on other big life changes. It’s normal to want to do everything all at once. If you’re going to quit smoking, why not lose weight, or stop biting your finger nails, or drop some other habit that’s been annoying you at the same time? The reason is: trying to make too many major life changes all at once can set you up for failure across the board. Quitting smoking is hard enough. Hold off on other all life changes until you get this one sorted. There’s plenty of time to tackle them in your smoke-free future! Focus on the NOW, the present moment. Thinking about the future and all of the things that you need to do to get there can be stressful. No need to look for ways to stress yourself out the first week of quitting. Be good to yourself. Take things a day at a time. For example, maybe you get overwhelmed when you start to feel the pressure of choosing and starting a career. Instead, focus on the next step, which can be as straightforward as finishing your next class assignment or reviewing your class notes. When you are quitting smoking, you are doing something awesome for yourself in the present moment. Let it be about just taking care of yourself for this one week. The other pieces of the puzzle will fall into their own places at their own times. Nicotine makes your heart work harder and increases you blood pressure, which raises the tension in your body and makes it harder to relax. When you’re going through nicotine withdrawal (“nic fitting”), you can feel annoyed, anxious, and any number of other irritable feelings. [2, 4] You might think that a quick cigarette will help. But, what it will really do is throw your body back into physical stress. Before reaching for a smoke, remind yourself that it will prolong the cycle of nicotine withdrawal. You don’t want to do that! Instead, take deep breaths. The extra oxygen will help you feel less stressed and also help you think more clearly. It might also help to talk out the situation with someone. If whatever is stressing you out doesn’t have to be solved right now; then wait. Take five minutes. Walk away and get some fresh air. Maybe even put off the problem solving for a week or two if you can. Your job today is to stay smoke free. Quitting smoking is not easy! Pat yourself on the back for every small success and forgive yourself if you make a mistake. You might find work and school responsibilities to be more stressful for the first few weeks of quitting—but that’s because you are challenging yourself to improve your health! Take heart: All of your hard work now will quickly pay off. Many ex-smokers say that they feel less stressed and happier even just two months after they quit. The good stuff is just around the corner.